Such a pretty card Pat, a sweet image and lovely pink papers. I'm so pleased to hear that you had a lovely holiday last week - it's so nice to get away at this time of year. 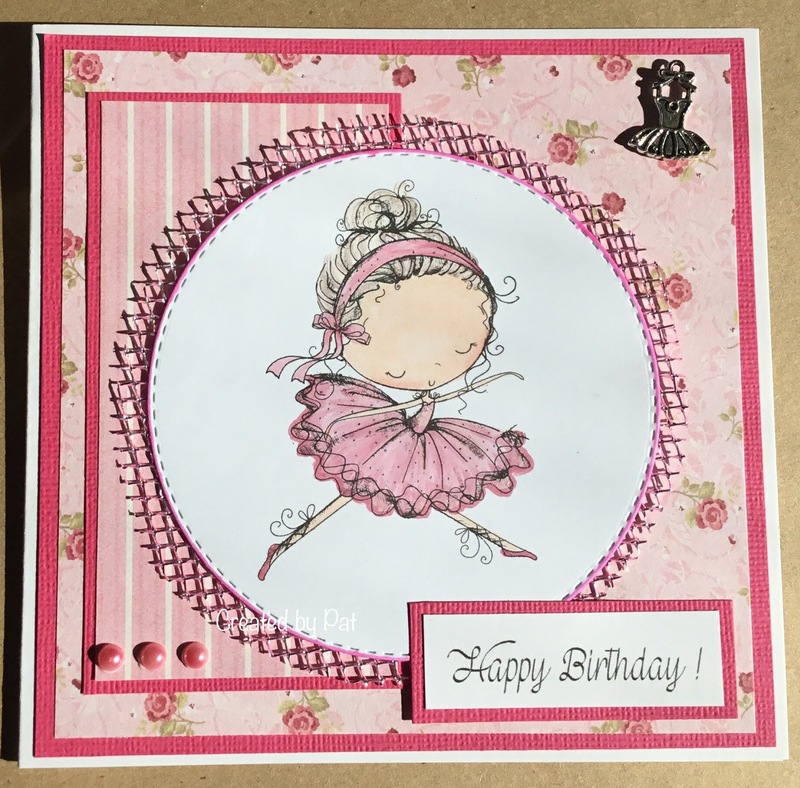 Sweet image, lovely design and so pretty in pink! Never been to Northumberland although I think we've visited quite a lot of the UK now...much easier than travelling abroad when you have a (very spoilt!) canine companion to consider! Glad you had a good time. This is so pretty, Pat - the image is adorable and the papers and the mesh look lovely with it. Have a good afternoon and evening - hope the weather is OK with you at the moment.